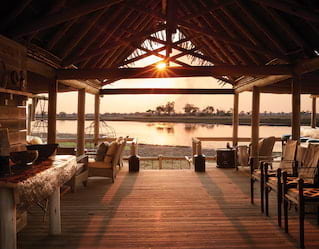 Stay at Belmond Eagle Island Lodge and find endless things to do in Botswana. Set off on a new adventure each day and get up close with elephant, buffalo, hippo, crocodile, big cats and more. Please note that some of the following activities are only available when the delta is in full flood, usually from May to October. 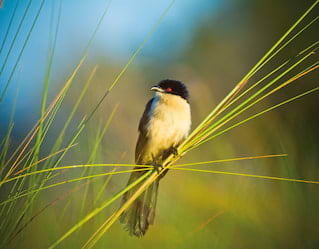 Discover the magic of a new day and explore the Okavango Delta as the animal and birdlife first wake up. 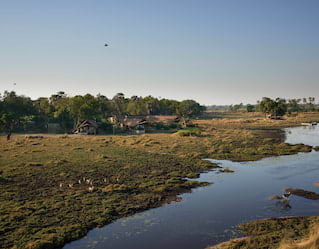 Head out before dawn by mokoro, encountering swooping African fish eagles and basking crocodiles. 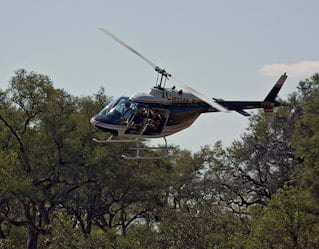 Or take to the sky in a helicopter to spot elephants, buffalo and impalas moving across the plains. You will be equipped with Leica Trinovid 8x42 HD binoculars to see the wildlife with incredible clarity. Or for a truly exceptional experience, book a private guided tour with Leica global ambassador and expert wildlife photographer Marc Stickler. 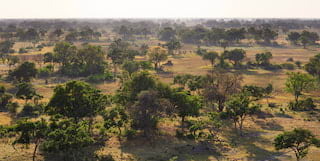 Helicopter flights over Botswana are one of life’s big adventures. 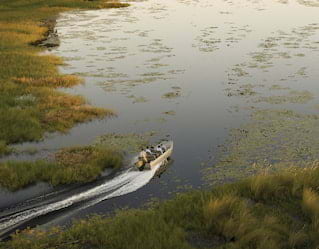 Experience the Okavango Delta as you have never seen it before. Spot remote, inaccessible lakes and islands as well as an abundance of wildlife from the sky. Additional charges apply. 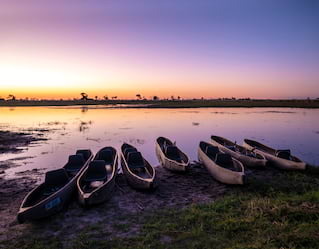 A first in Northern Botswana, this exhilarating safari begins at first light with a 10-minute helicopter flight. 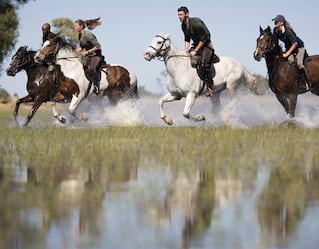 Then saddle up for a guided horseback ride through the delta. Move quietly past wild dog, elephant, buffalo, hippo and zebra in their natural habitat. Additional charges apply, and horse riding experience is essential. Glide silently on a traditional dugout canoe, a mode of transport used by locals for centuries. Explore the shallow, clear waters, drifting past brilliant waterlilies and papyrus grasses, reaching areas inaccessible by boat. Witness brightly coloured frogs, kingfishers, dragonflies or elephants feasting on the reeds. 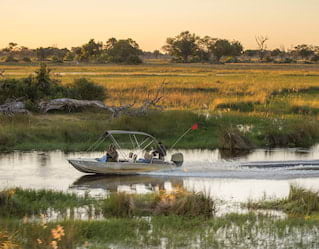 The chance to explore open waters is a unique feature of an Okavango Delta safari. Cover more ground and delve deeper into the landscape, with a chance to spot an even greater range of wildlife. Embark on a sunset barge cruise for hypnotic views as you sip a sundowner. 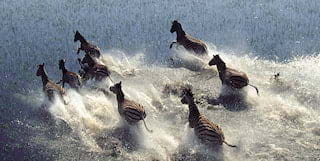 Available during the wet season, usually May to October. Visit neighbouring Nxhoga village for an authentic insight into the Motswana way of life. Learn about hut building, basket weaving and the fishing industry. Meet elders, chat with the children, and browse the small market, churches and bakery. 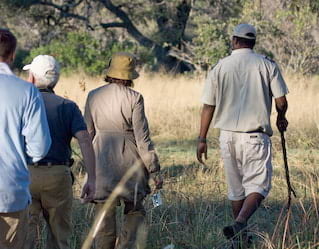 Let our experienced guides take you on a trek to experience the true spirit of Botswana. 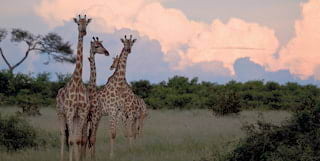 Spot amazing sights close-up, from dazzling insects and swarming termite mounts to animal tracks. These small, unexpected aspects of delta life often make the biggest impression. People head to Belmond Eagle Island Lodge from all across the globe, purely to spot the region’s magnificent variety of birds. Over 400 species make for unrivalled viewing. Keep an eye out for the rare Pel’s fishing owl, endangered wattled crane and the majestic African fish eagle. The delta’s channels are rich with tilapia, while spotted and silver catfish can be found in the many lazy pools. African pike, infamous fighters, are a favourite snare. 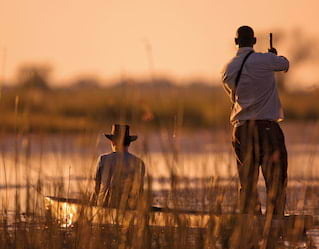 If you have never fished before, the Okavango Delta is the ultimate place to start. Please note: catch and release fishing only. Relax beside your private plunge pool, watch the wildlife from your balcony, or perhaps opt for a game of chess. Spectacular sunsets are guaranteed at the Fish Eagle Bar. Keep an eye out for our ‘resident’ elephant, who loves the berries in our trees. In the evening, gather round the fire pit and share stories with our guides. Celebrating the 20th anniversary of his bestselling series ‘The No. 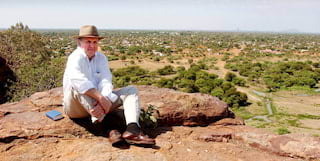 1 Ladies’ Detective Agency’, Alexander McCall Smith reflects on his time in Botswana with Belmond Safaris.